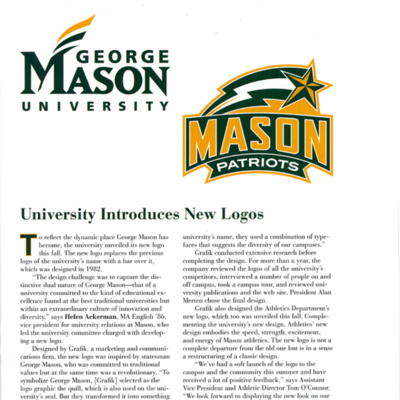 Article from The Mason Spirit magazine detailing the new University corporate and sports logos created in 2004. Color illustrations and text. One page. GO George Mason! 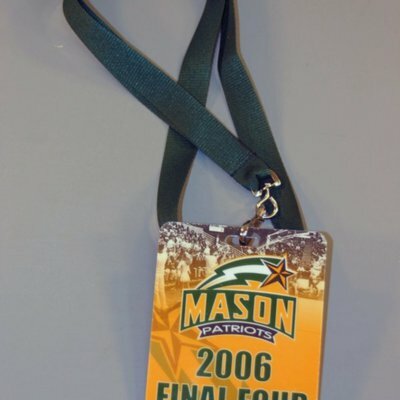 poster from the 2005-2006 George Mason University Men's Basketball season. 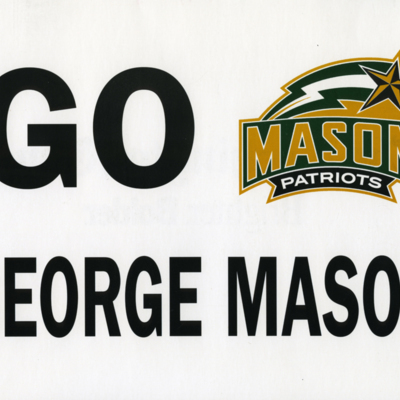 Poster displays the Mason athletic logo designed during spring 2004. Poster is in color, measures 8.5" x 11", and is on heavy glossy paper stock.